In January 2014, the Turkish Ministry of Health filed a lawsuit against the Turkish Medical Association (TMA), the Turkish affiliate of the World Medical Association and the Standing Committee of European Doctors, and a long-time partner of PHR. The lawsuit claimed that the TMA illegally “established healthcare units called infirmaries” in response to protests at Gezi Park that began in May 2013. In a friend-of-the-court brief, PHR said members of the TMA not only followed international medical ethics by providing emergency care, but also acted in accordance with the Turkish penal code, which makes it a crime for medical personnel to neglect their duty to provide emergency care to those in need. After PHR mobilized the global medical community in advocacy efforts to call attention to the baseless charges, an Ankara court dismissed the case in February 2015. 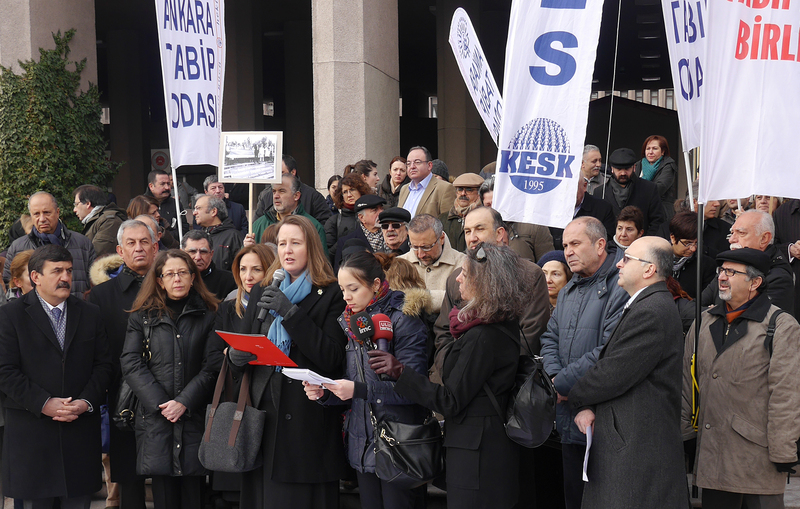 The lawsuit, however, was not the end of the Turkish government’s assault on and intimidation of health care providers, and the Turkish Medical Association in particular. In January 2018, the TMA issued a statement decrying war as a threat to public health. Subsequently, Turkish President Recep Tayyip Erdoğan made a speech calling the TMA “terrorist lovers” and disparaging its anti-war stance. Amidst physical threats against TMA members, protests, and calls by pro-government unions for charges against the organization, the head prosecutor in Ankara filed a criminal complaint against the TMA in January 2018, and the group’s office was searched. In addition, another lawsuit was filed against the TMA’s leaders, demanding that they be dismissed from their positions on the grounds that they are acting beyond the scope of the mission of the TMA. PHR has repeatedly called on the Turkish government to release all detained members of the TMA and put an end to all acts of harassment and intimidation. PHR advocating during the trial of persecuted TMA doctors who provided emergency care in the wake of the 2013 Gezi Park protests. President Erdogan is expelling Medical professionals, scientists, and other academics by the thousands!